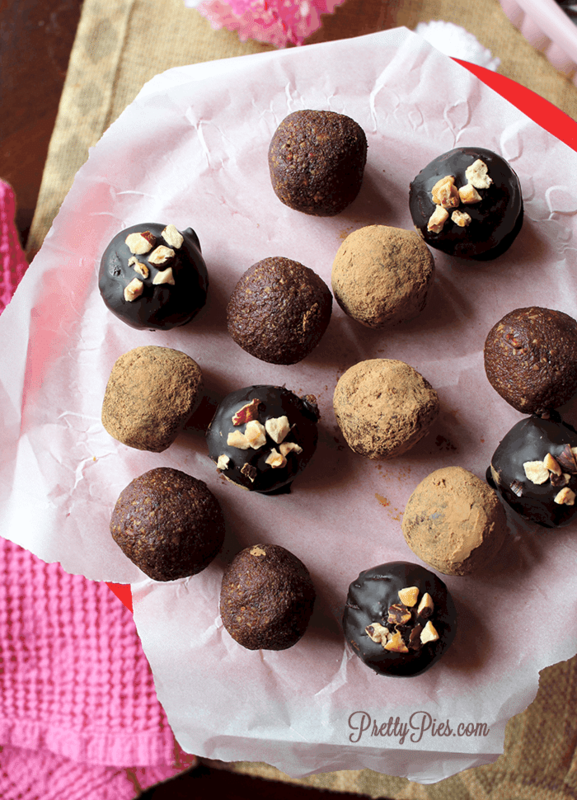 The incredible flavor of Nutella — without the added SUGAR: “No-tella” Truffles! These bite-sized chocolate hazelnut treats come together in just minutes with 4 simple ingredients. Oh, hazelnuts, how do I love thee? Let me count the ways… The flavor is undeniable. Incredible. Down right delicious. If you’re from the US, I’m guessing you’ve tasted the deliciousness that is Nutella. But if you’re anything like me, you don’t love the ingredients. Ugh. I was absolutely SHOCKED when I first found out that Nutella is mostly a jar of SUGAR, lol. And their advertising makes it seem so “natural”.. “made from hazelnuts and cocoa.” Yeah, and a bucket of white sugar!!! Things like that make me go OFF. So when I saw a bag of hazelnuts at Aldi last week, I just had to make a “pretty” version of Nutella — meaning NO refined sugar. “No-tella!” haha! Here, you get ALL the delish flavor of chocolate and hazelnut in a MUCH healthier way. Literally 4 ingredients are all you need. So simple. So much healthier than the alternative. No added sugar, dairy, oil, or anything else. *Food made from food. * With actual health benefits like antioxidants and FIBER! Can I get an amen?! 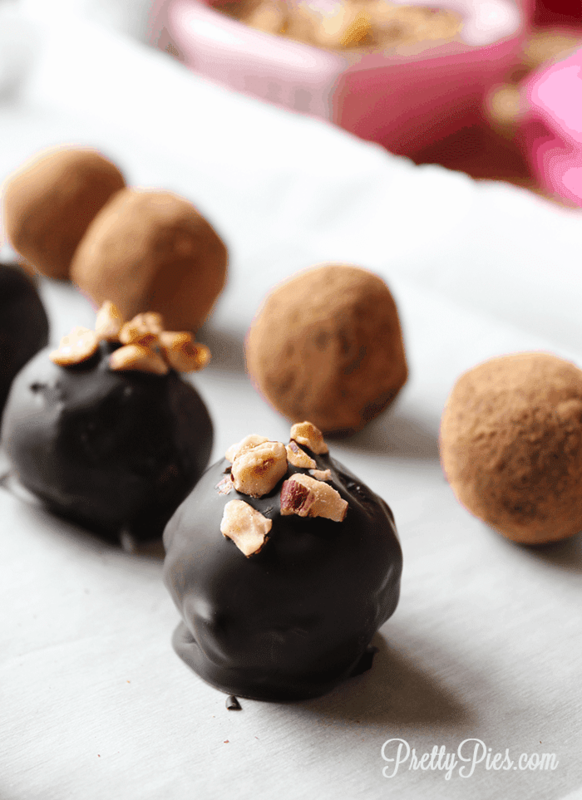 How do you make Hazelnut No-Tella Truffles? You can have No-Tella in No- Time, ha. Throw everything in a food processor and pulse until combined. It only takes about ONE MINUTE. Then roll into balls. Seriously. Doesn’t get much easier than that. And the result? They look so elegant and pretty, right!? You could totally turn these into a gift or serve them at a fancy schmancy dinner party. People will think you spent all day, haha. How do YOU enjoy your truffles? 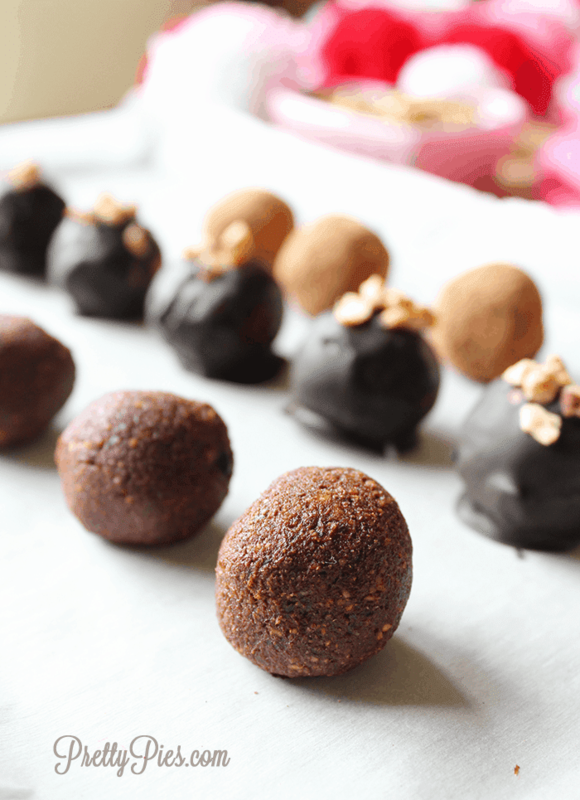 These truffles make a great easy snack, pre-workout carb boost, mid-day pick-me-up or fancy dessert. You choose! These are going on my Valentine’s Day menu. I’m simply in LOVE. 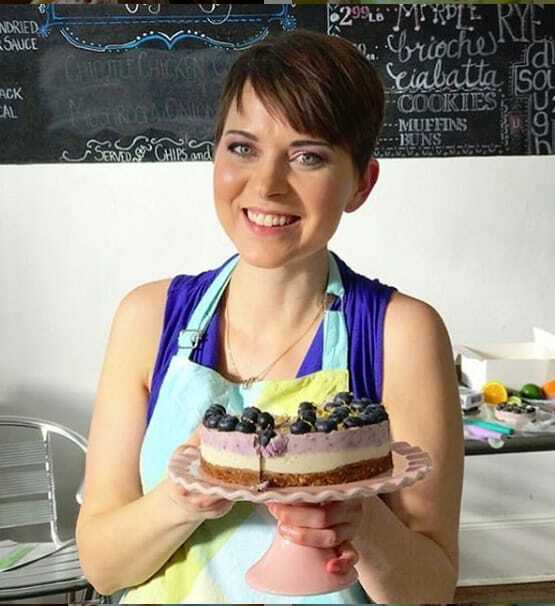 Pretty Pies is a member of the Amazon Associates program. Any purchases made from a referral affiliate link may result in a small commission earned at NO additional cost to you. THANK YOU for supporting this site. If you make this recipe, be sure to tag me on Facebook or Instagram #prettypies I’d love to hear from you!! 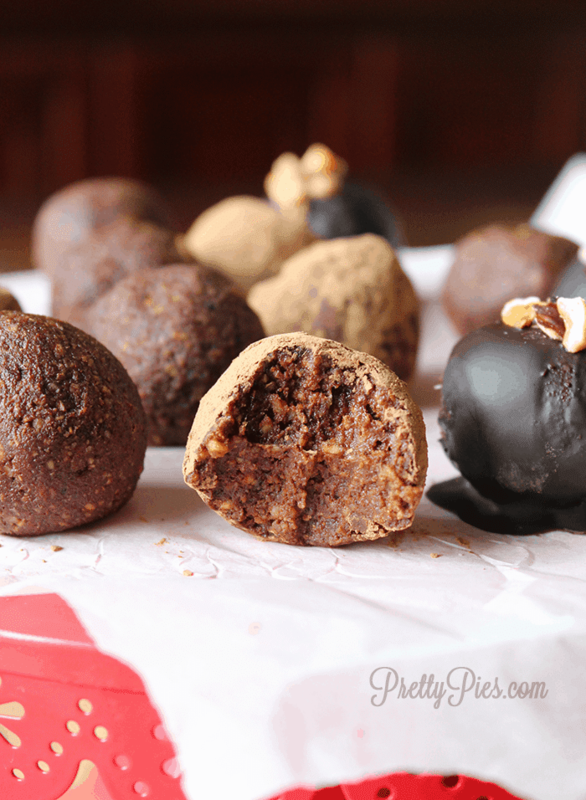 The incredible flavor of Nutella -- without the added SUGAR: "No-tella" Truffles! These bite-sized chocolate hazelnut treats come together in just minutes with 4 simple ingredients. Spread hazelnuts on a cookie sheet and roast at 350 for 8-10 minutes until fragrant & golden. Allow to cool. Place nuts, dates, cacao and salt in a food processor. Pulse until combined. Add a splash of water if it's too dry. Use a small (1 Tbs) scoop to make balls. Roll smooth with your hands. Optional: roll in 2 Tbs cacao, or melted chocolate (see notes) and sprinkle with chopped hazelnuts. Enjoy! To make chocolate coating: Gently melt 2 oz dark chocolate in the microwave or a double boiler. 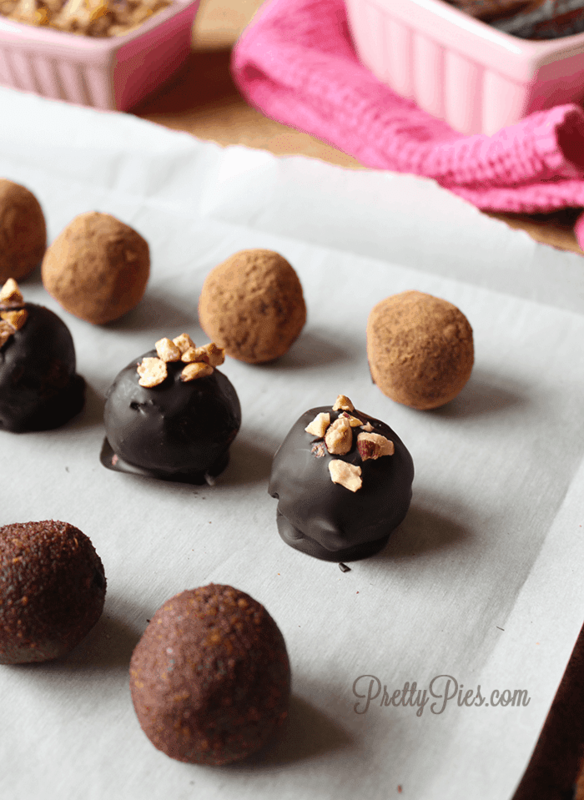 Dip balls one at a time in chocolate and roll to coat. Use a fork to lift onto a plate lined with parchment. Freeze for 15 min to set. To store: keep in an airtight container for about 2 weeks, refrigerated. May be frozen for 1 month. 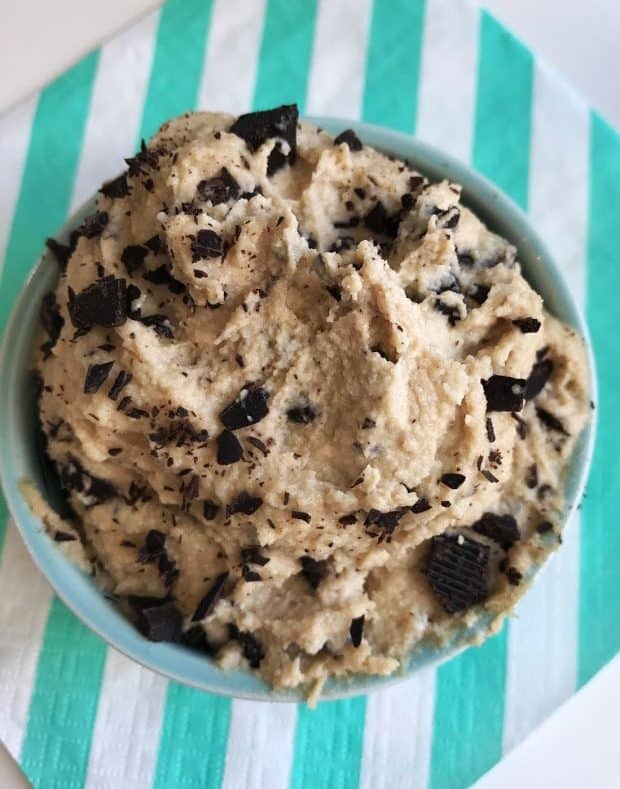 This entry was posted in Uncategorized and tagged bites, chocolate, holidays, no-sugar added, valentines day. Amazing. So so so good! I had to fight the urge not to eat the mix straight out of the food processor! Yay! So glad you liked it! Ha, I know what you mean — I practically licked my entire food processor clean, lol.